MARITAL STATUS: Wed former Exposé singer Kelly Moneymaker on April 18, 1998. Peter Reckell knew from an early age that he wanted to be an actor. After working behind the scenes in his junior high school productions, Reckell finally went on-stage in high school. Upon graduation, the second of six children attended the Boston Conservatory, where he received a Bachelor of Fine Arts in theater with a minor in music and dance. Reckell then moved to New York City, where he appeared in several musicals and plays, including Love Letters, The Fantasticks, Moonchildren, Jesus Christ Superstar, The Pirates Of Penzance and Guys And Dolls. In 1980, he landed his first daytime role as Eric Hollister on AS THE WORLD TURNS, where he remained until 1982. The following year, he landed the role of DAYS OF OUR LIVES’s rebellious hero Bo, where he quickly became a fan favorite. Bo and love interest Hope soared to supercouple status, but despite that popularity, Reckell took a break from the show from 1987-90. While away, he returned to the stage in a production of Deathtrap; he then moved on to prime-time, where he played KNOTS LANDING’s Johnny Rourke from 1988-89. Reckell soon returned for his second stint in Salem, only this time, Kristian Alfonso (Hope) was taking a break from the show. He exited again in 1992, going on to do a series of guest spots and TV movies (the show recast with Robert Kelker-Kelly). But Reckell was back at DAYS in 1995, re-paired with the newly-returned Alfonso — and he’s been there ever since. Though Reckell began on the show nearly 20 years ago, he continues to be one of its most revered actors, and Bo and Hope are still a favorite couple. The star has the medals to prove it: He’s won six Soap Opera Digest Awards: Lead Actor (1984, 1985), Younger Lead Actor (1986), Hottest Male Star (1996) and Favorite Couple (2001 and 2003). Off-screen, Reckell enjoys music and physical fitness. In addition to being an avid cycler, he practices martial arts and yoga. Reckell has an electric car and rides a bike to work. Lives in a solar-powered home. His wife produced his self-titled CD, on which he sings country tunes. Won the 2003 Toyota Pro/Celebrity Grand Prix of Long Beach, CA. Supported himself in college by taking on a job as a singing waiter. 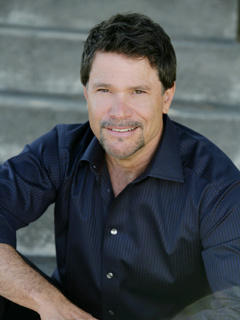 Happy Birthday To Peter Reckell!